A small girl is sent to live with foster parents on a farm in rural Ireland, without knowing when she will return home. In the strangers' house, she finds a warmth and affection she has not known before and slowly begins to blossom in their care. And then a secret is revealed and suddenly, she realizes how fragile her idyll is. 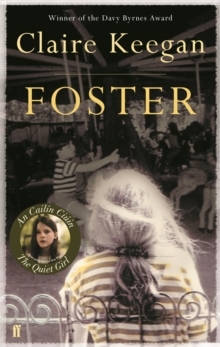 Winner of the Davy Byrnes Memorial Prize, Foster is now published in a revised and expanded version. Beautiful, sad and eerie, it is a story of astonishing emotional depth, showcasing Claire Keegan's great accomplishment and talent.